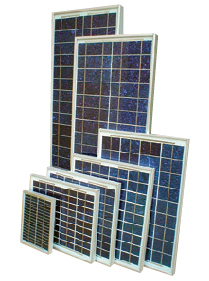 Solartec modules are manufactured based on photovoltaic cells of high efficiency polycrystalline silicon. The conversion efficiency of these cells is greater than 14%. To protect them from atmospheric agents and to isolate them electrically, the cells are encapsulated with EVA (ethyl-vinyl acetate) plastic material stable to ultraviolet radiation. The front exposed to the sun is tempered glass of high transparency (low iron content) and 3 mm thick, which gives it greater resistance to impact. The back face is TPE, a composite plastic sheet of high mechanical and electrical resistance. The anodized aluminum frame ensures structural rigidity and facilitates its installation. The junction box attached to the rear side allows interconnection with the other components of the system. Solartec reserves the right to modify these specifications without any previous notice. During the night the voltage of the photovoltaic panels is zero. At dawn, dusk or on cloudy days, the level of sunshine is low and the panels can not charge the batteries. In the latter case the load control plays a passive role, isolating the accumulation bank from the generation block, avoiding its discharge. When the insolation increases, the voltage of the panels exceeds that of the battery bank and the charging process is resumed. This is when the charge control has an active role, avoiding excessive gasification of the electrolyte. 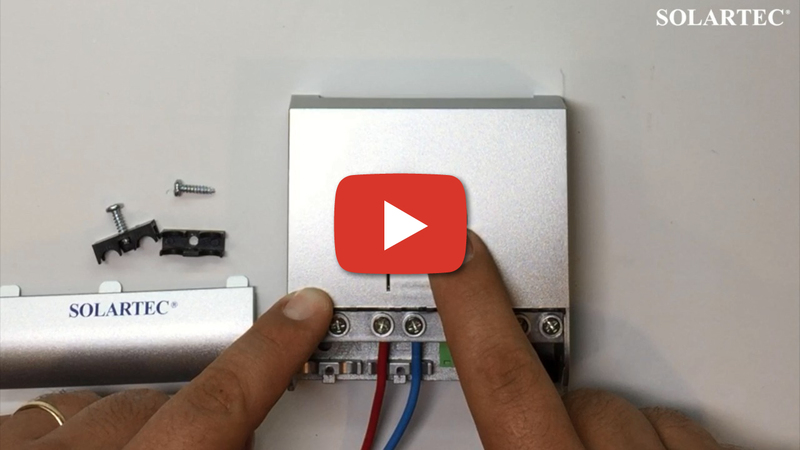 For more information about use and configuration of our Battery Charge Controllers, you can visit our tutorial videos. Any stand alone solar electric generator must accumulate the energy that is generated over daylight (insolation) time. These accumulators, in the majority of cases, are batteries. 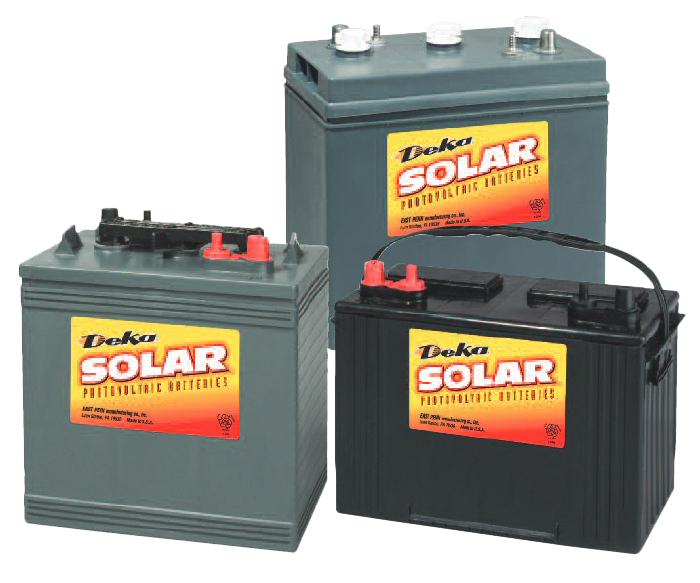 These batteries range from a simple monoblock nominal12V accumulator to a large capacity nominal 48V battery bank. The size and characteristics of the battery bank is calculated taking into account a number of elements; Voltage of operation of the load. Energy demanded by the load (stated in Ampere-hour/day), Geographic location where the system is to be installed (solar radiation and environment temperature). Autonomy sought for the system (stated in number of consecutive days of quite low solar radiation – cloudy days – over which the system is able to feed the load). This electric energy storage capacity is calculated for a 100 hour battery discharge regime (as customary for solar energy systems), and a depth of discharge of approximately 70% of total storage capacity. There is a wide variety of batteries in the market. SOLARTEC engineering department selects the type most suitable to each project in particular. The so-called “solar-type batteries”, are low self-discharge batteries, which are generally lead-antimony (with low antimony content) or lead-calcium. 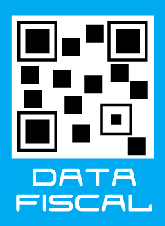 Plates can be flat, in the case of mono-block 12V batteries of low unit capacity, or tubular for larger capacities. A tubular battery is integrated by individual vessels, with each vessel being a 2V cell. According to the voltage of the load to be fed and the capacity intended, both monoblocks and tubular batteries may de parallel-series connected. In order to secure a homogeneous charge and a longer useful life for the battery banks, it is suggested to install not more than 4 lines in parallel. Batteries can be open, closed (with regeneration valves) or sealed. Electrolyte can be liquid, absorbed or jellified. Battery banks are arranged on racks and placed inside suitably ventilated special containers, premises or cabinets. 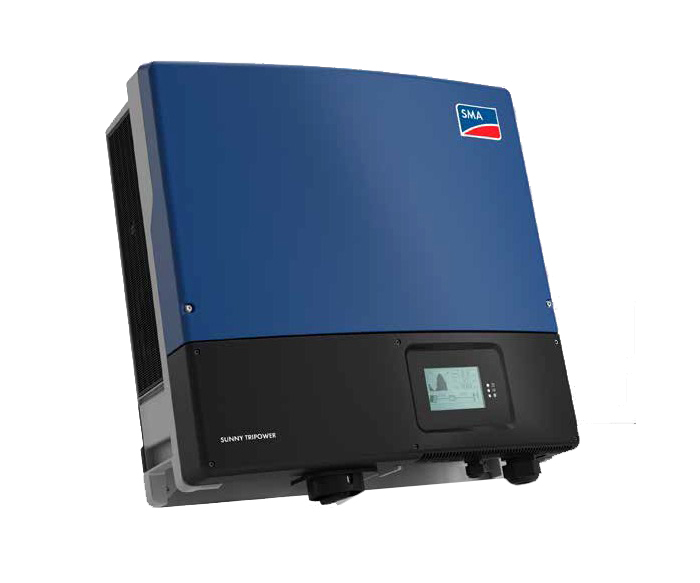 Inverters convert DC power stored in batteries into household AC power to operate electronics and appliances. 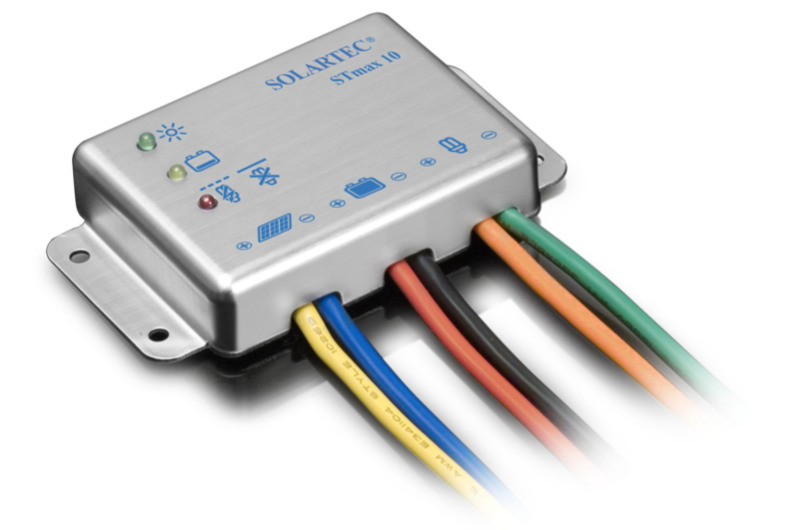 SOLARTEC provides for those cases a wide variety of inverters that convert the direct current generated by photovoltaic modules into alternate current. The nominal voltage of the battery-bank can be of 12, 24, or 48V depending on each case. According to their intended application, different inverters can deliver alternate current of square, modified sinusoidal or pure sinusoidal wave. In those households or other buildings where photovoltaic generators operate in a hybrid system with a traditional generator (e.g. a diesel generator), a complete power package (an inverter, a battery charger and a transfer switch) are utilized. When the traditional generator is started-up, the equipment converts the generated alternate current into direct current for charging the battery-bank. This same bank is charged also by the solar energy generator during daylight-time. When energy is consumed within the building the inverter/charger equipment takes-up that energy from the battery-bank and delivers it as alternate current to the building's electric grid. For the cases of generators that are connected to the electric grid, another type of inverter especially designed for that purpose is utilized. They can be mono- or three-phase inverters, and are fed at high voltages by series-connected photovoltaic modules.  They are specially characterized by their taking information from the grid, so that the alternate current produced by the system is in synchronism with that of the grid. In each case in particular, SOLARTEC Engineering Department selects the appropriate inverter or inverter/charger for fulfill the requirements and specifications related to the load to be fed. 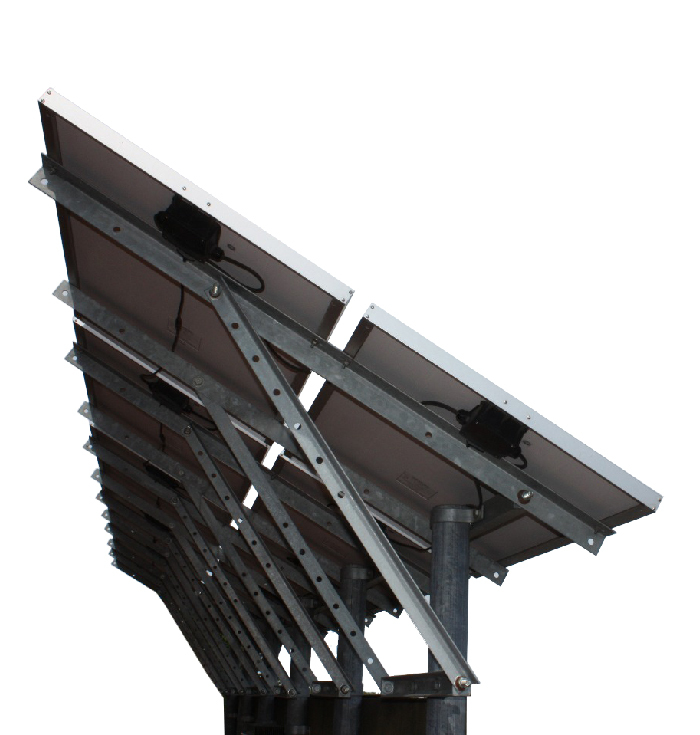 The photovoltaic modules of a solar generator are mounted on supporting structures. These strucrures are metallic ( galvanized steel or anodized aluminum.) The modules are attached to the structures by bolts or rivets. The supporting structures are grounded or mounted on buildings’ roofs. These structures are mounted on poles that are grounded in the floor. These structures have four legs. The legs are fastened with anchor bolts to concrete blocks that are grounded in the floor. 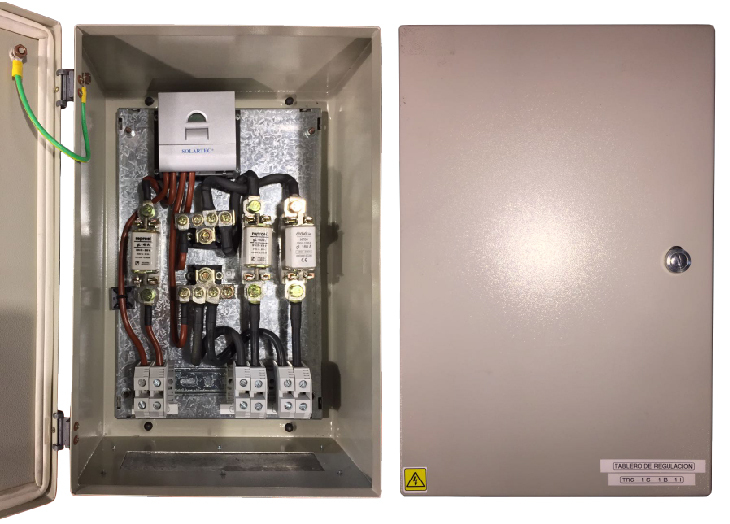 For grid connected generators, SOLARTEC Engineering Department prepares a design for each particular case, based on the characteristics of the building in question. Generators are installed on the ground in those cases that enough free area is available, or on walls or roofs in most cases. For more information about building structures, you can visit our support structures assembly tutorials. 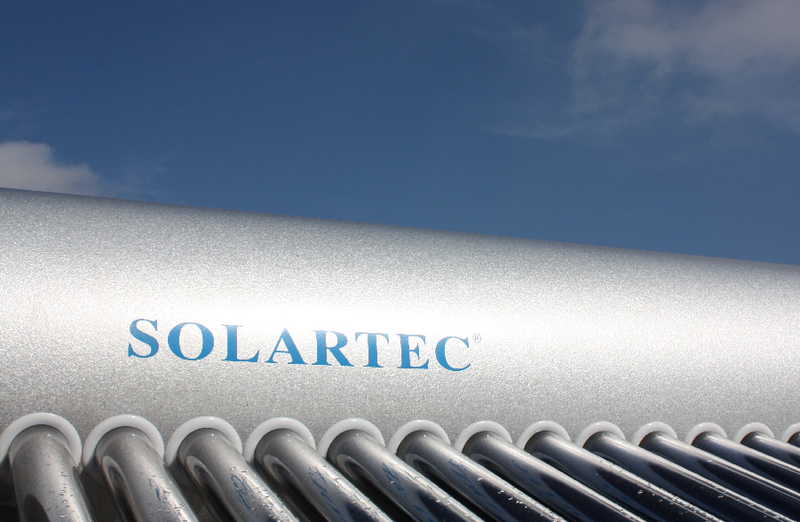 Termotanques Solartec® sets constitute the only hot water source for new housing units. In order to secure hot water availability should sunlight be absent, e.g. upon a number of cloudy days having elapsed, the water tank is fitted with an auxiliary electric heater that is automatically switched on and off and keeps the water at a suitable temperature. For housing units that have been fitted with a water-heater (gas or electric ) Solartec ® equipment is installed between the residential water tank and the cold water inlet of the existing water heater. 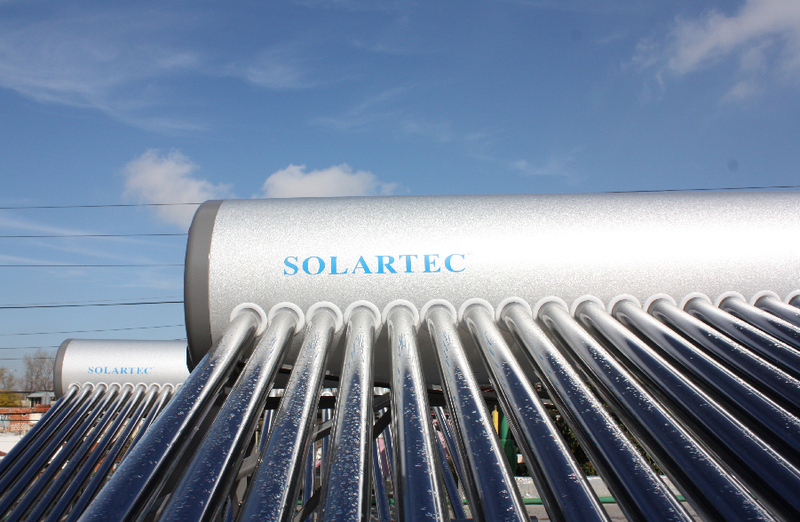 Using Solartec ® equipment implies substantial savings of gas or electric energy, higher than 70% in the average. 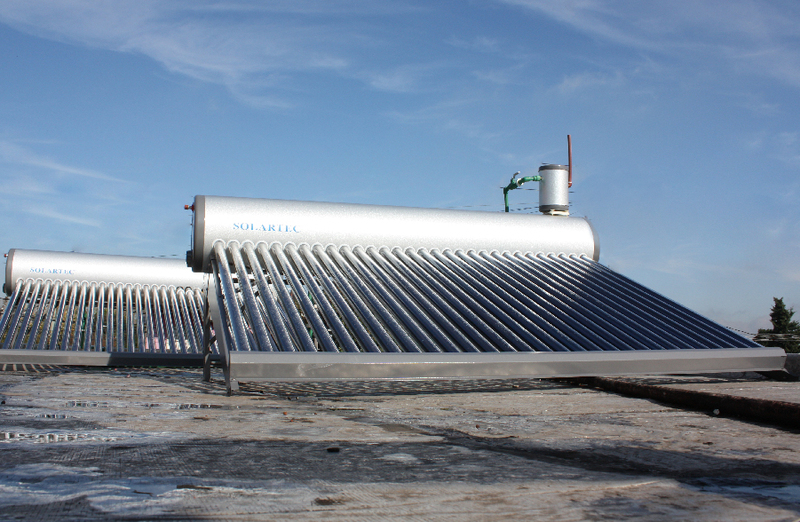 The manual contains information necessary for the use of SOLARTEC Solar Water Tanks. You can also access our arming tutorials for further reference. Helical rotor pump (3") for GREAT HEIGHT and LOW FLOW. Centrifugal pump (4 ") for LOW HEIGHT and LARGE FLOW. 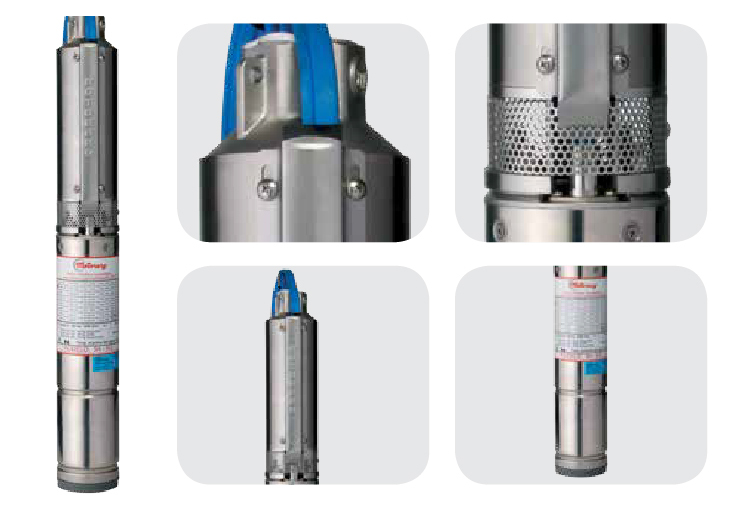 Electropumps are designed to pump light, clean, non-aggressive and non-explosive liquids that do not contain solid particles or long fibers (no larger than a grain of sand). The electric pump can operate at free convection (̴ 0 m / s) at a maximum temperature of +40 ° C.
SOLARTEC Enclosures are designed based on the specifications recommended by the Argentine Electrical Association (AEA 90364-7-712).